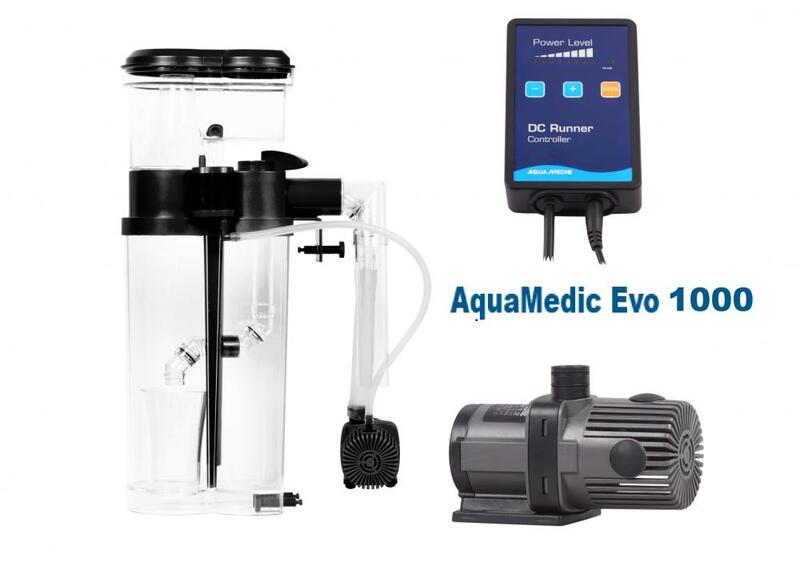 Using a safe low voltage 24v DC Runner 1.1 Air Wheel pump, the Evo 1000 is suitable for aquariums up to 500L. Very quiet pump operation using a maximum 12 watts at full flow. The pump output is regulated via the included DC pump controller. Designed for installation as a hang-on skimmer and also for in-sump installation, with 20% more output than the superseded Turboflotor Blue 1000.